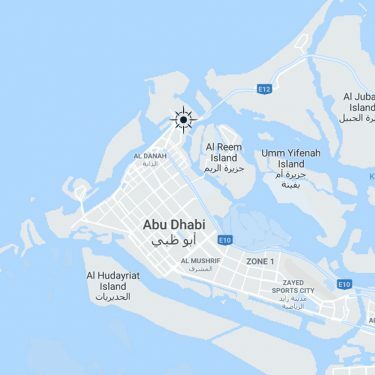 Abu Dhabi Ports is the new epicentre of innovation serving Middle East and the wider world through the Emirate of Abu Dhabi – Gateway of the East and the West. We believe in doing things in a manner that creates innovative ideas, concepts, solutions and opportunities. Abu Dhabi Ports is a crucible that constantly improvises, improves and enhances processes, products, technology and services – to benefit customers and all other stakeholders. We have prioritised innovation, automation and artificial intelligence, by deploying next-generation port technology to serve the continuous development of the Emirate and its vast hinterland of 4.5 billion people. We have brought markets closer to Abu Dhabi, the geographic centre of 21st century shipping lanes with a tremendous opportunity to lead post-hydrocarbon economy as a global trade hub. A successful example is the world’s second fastest growing and Middle East’s first semi-automated container terminal – Khalifa Port – which can accommodate some of the world’s biggest container ships with its state-of-the-art infrastructure. To maintain, sustain and boost momentum into the future, we continue to invest significantly in technology and world-class infrastructure to ensure that our innovative systems will always stay ahead of the rapidly growing trade volumes. At Abu Dhabi Ports, innovation is the key – and the way of life.